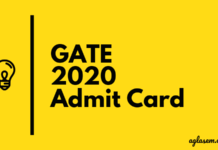 GATE 2019 Mechanical Engineering (ME) Answer Key – From this page, candidates can download the GATE 2019 Official answer key and question paper for ME-1 and ME-2. The answer key has been released online on the official website, gate.iitm.ac.in. You can also download it from the direct link below. 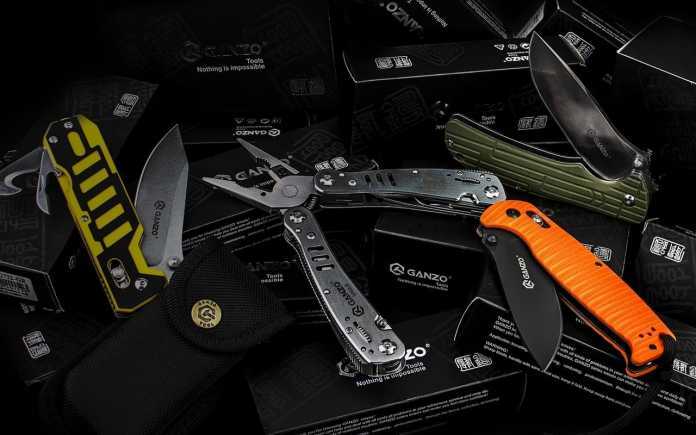 The analysis and solution for GATE 2019 ME is also available on this page. Candidates can use GATE 2019 ME answer key to evaluate their marks in the exam. Latest: GATE 2019 ME-1 and ME-2 Final Answer Key has been released. Download it from the link below. 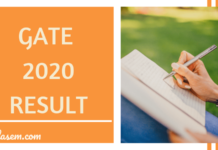 The question paper for GATE 2019 for the subject code ME has two types of questions – MCQ and NAT type. The test consists of 65 questions carrying 100 marks. As far as the marking scheme is concerned, it is different for both types of questions. There is negative marking in MCQ type questions whereas there is no negative marking for NAT type questions. The marks deduction for negative marking in MCQ type questions in explained below. Just after the exam is over, various coaching centers published GATE 2019 ME Answer Key and video solutions. Along with it, the question paper for ME subject code is also released. The candidates can check the complete schedule for GATE 2019 ME Answer Key from the table below.. The candidates can check the complete schedule for GATE 2019 ME Answer key from the table below. Candidates who have appeared in GATE 2019 Mechanical Engineering Paper as well as future GATE aspirants can use answer keys. Those who have appeared in Mechanical Engineering on February 02, 2019 can know correct answers, analyse how many questions they marked correctly, and estimate scores. This makes GATE a transparent and fair process. Future GATE aspirants can use this Question Paper, GATE Answer Key, Solution to prepare. Made Easy Answer Key – Available! Answer Key – Available! GATEFORUM Answer Key – Available! Answer Key – Available! Turbulent Academy Answer Key – Available! Answer Key – Available! The candidates can download the previous year answer key and question paper for GATE ME subject code from the table below. Several coaching centers also released GATE ME Answer Keys last year. You can check all of them below.